The Dance Conservatory is designed for the serious dancer who is interested in choreography and performance, while dedicating much of her training to contemporary and classical dance. Students' creativity and skills are showcased in our annual dance concert and various dance shows throughout the year. The curriculum includes ballet, pointe, modern, classical jazz, choreography, world dance, performance skills, critical theory and thinking. Typically, this class is comprised of mainly junior and senior students. Dancers also participate in fitness classes to improve strength, flexibility, muscular endurance, coordination and agility. The curriculum includes the preparation of a dance video for college submission. Students will also have the opportunity to choreograph and produce their own dance, with the guidance of the instructor. This course is for the incoming Conservatory student who has passed the audition. It will focus on advancing the student’s level of technique, skill and knowledge of dance. The curriculum includes ballet, modern, classical jazz and performance skills. An individual conditioning program is implemented to address differences in strength, flexibility, muscular endurance, coordination and agility. Members of this class will have the opportunity to perform with the Advanced Conservatory in the annual Spring Dance Concert, Student Choreographers’ Ball and outreach performances. Students also have opportunities for workshops with special guest artists throughout the semester. 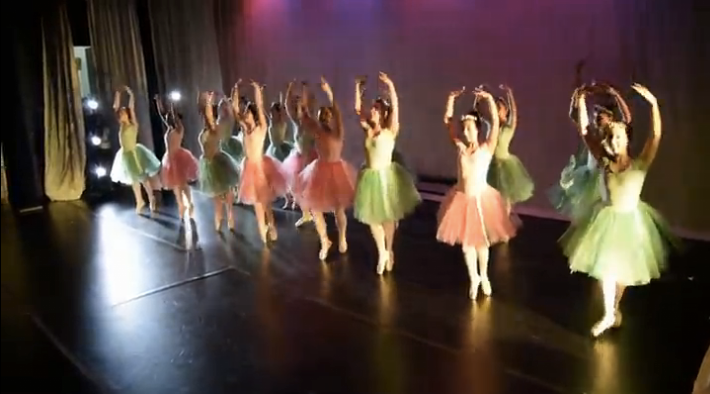 A full-year commitment is recommended in order to dance in the annual Spring Dance Concert. Typically, the class is comprised of sophomore to senior students. This course is for the advanced student who has passed the audition for placement. Students will focus and train in contemporary and classical dance. The curriculum will include ballet, pointe, modern, classical jazz, choreography, world dance, performance skills, critical theory and thinking. An individual conditioning program is implemented to address differences in strength, flexibility, muscular endurance, coordination and agility. The curriculum includes the preparation of a dance video for college submission. Students will also have the opportunity to choreograph and produce their own dance, with the guidance of the instructor. Advanced Conservatory will perform in the annual Spring Dance Concert and other possible venues. Typically, this class is comprised of junior and senior students. BLOOM Spring Dance Concert Dance Conservatory — Hearts for Arts 2016 Dancing "Actions Not Words" at Harambee School Spring Dance Concert: "Beat Street" Spring Dance Concert: Central Dogma Spring Dance Concert: We Don't Eat Spring Dance Concert: La Bayadere Spring Dance Concert: La Reve Choreographers Ball 2014: "Adrift in a Dream" Choreographers Ball 2014: "The Stone Where We Stand" Choreographers Ball 2014: "Consumed" Choreographers Ball 2014: "Remember Me" Choreographers Ball 2014: "Shattered Silence" Choreographers Ball 2014: "Let the Music Do the Talking" Choreographers' Ball 2013: "A Meeting"
Annual Choreographers' Ball — "Locomotion"